ICS are silver and gold members of Constructionline (registration number 81701) which is the UK’s register of pre-qualified local and national construction companies. SMAS Workplace Schemes assess Health and Safety competence. ICS has been checked by Safety Management Advisory Services Limited and had been awarded a Worksafe Contractor Membership Certificate as a Contractor. ICS are members of the NFRC. The National Federation of Roofing Contractors is the UK’s leading trade association for the roofing industry. ICS are members of Build East Sussex which is a network led by East Sussex County Council aimed at developing the construction supply chain in the county. ICS are accredited by SAFEcontractor (Certificate number JR97868), a programme which recognises very high standards of health & safety practice amongst UK contractors. ICS holds an account with Builders Profile (account number 24772). The Builder’s Profile is an online service providing a greener, paperless way for companies to exchange common pre-qualification information. ICS have been awarded as a Gold winner in the NFRC Safety in Roofing Awards. These Roofing Awards are an industry-wide competition that recognise and reward outstanding standards of workmanship and safety within the roofing industry. Contractors Health and Safety Assessment Scheme. 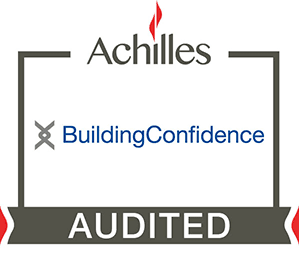 CHAS is an external Health & Safety auditing scheme that assesses contractors level of competency. ICS are members of The Single Ply Roofing Association (SPRA) which is the trade association representing the UK’s single ply roofing industry. ICS has achieved a Certificate of Health & Safety Accreditation.